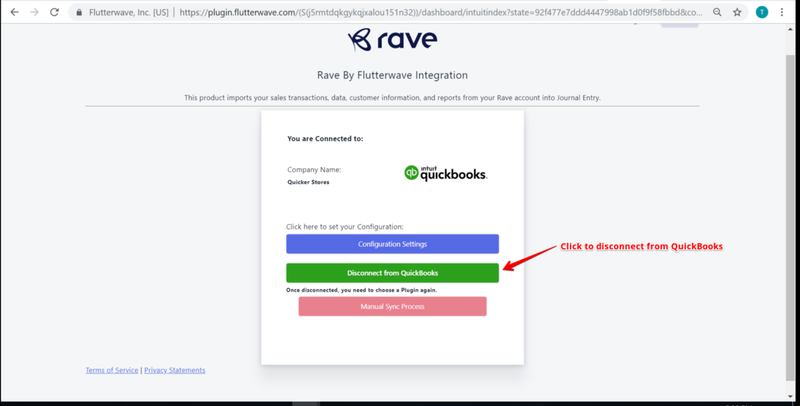 Why Integrate Rave with QuickBooks? 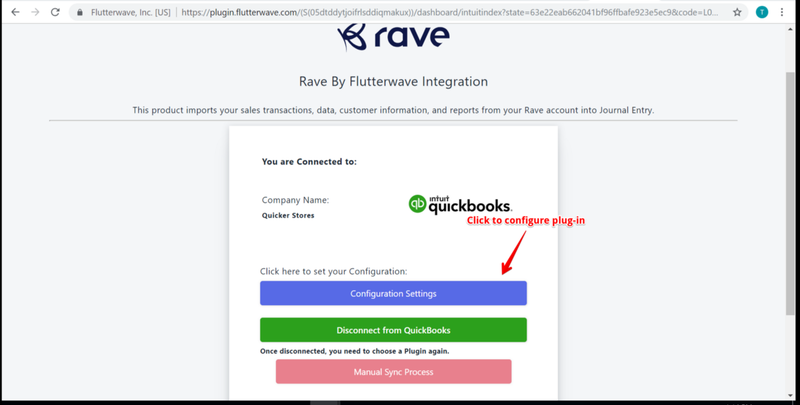 Step 4: Connect the QuickBooks plug-in to Rave. Step 6: Select appropriate credit and debit account to track fees and sales and save. 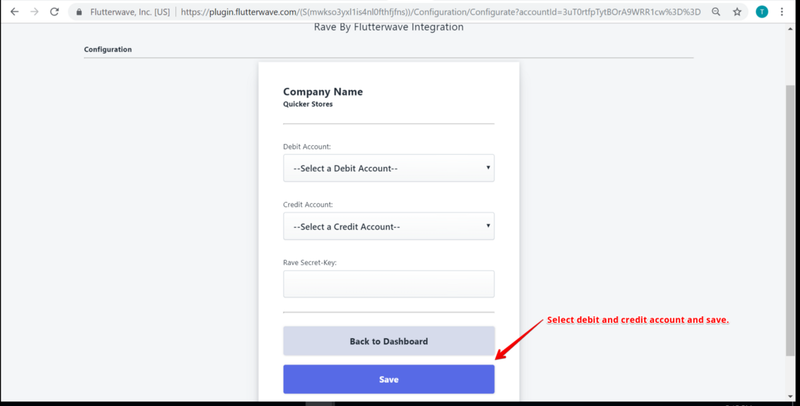 Click on“Back to Dashboard” to return. 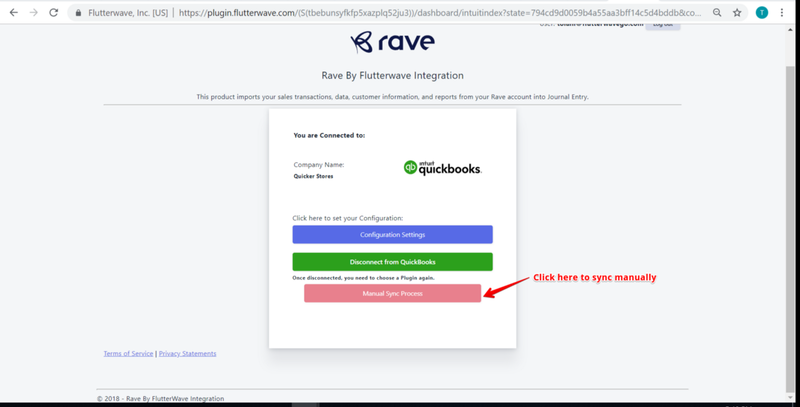 Is Integration available on all QuickBooks accounts? No. 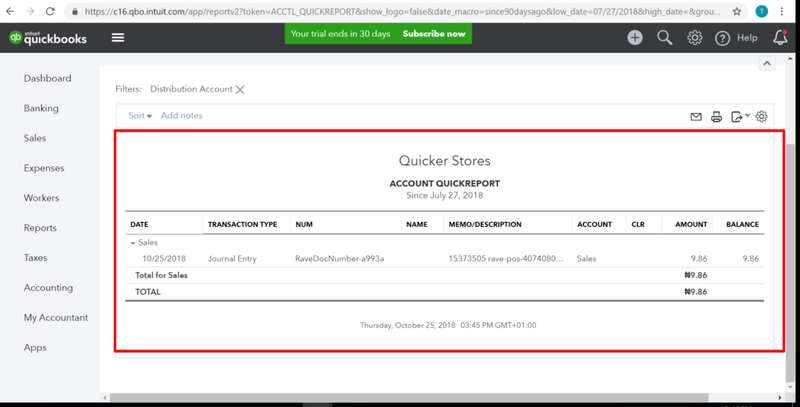 Integration is only available on QuickBooks Plus account. 2. Are there any settings related to synchronizing? 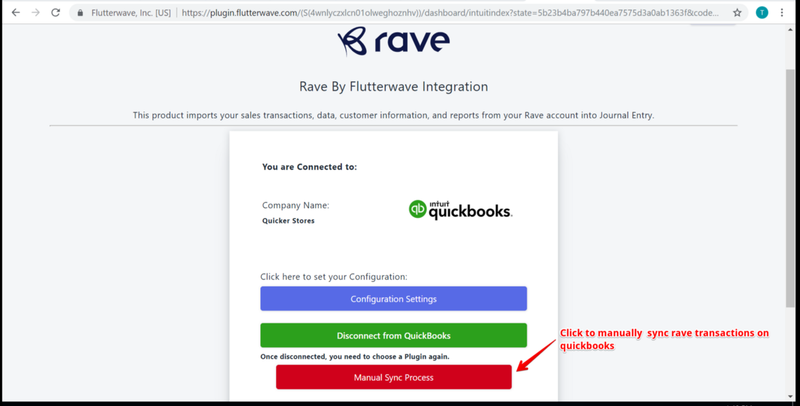 For successful synchronizing, a home currency for rave transactions must be the same as that on QuickBooks Plus account. 3. 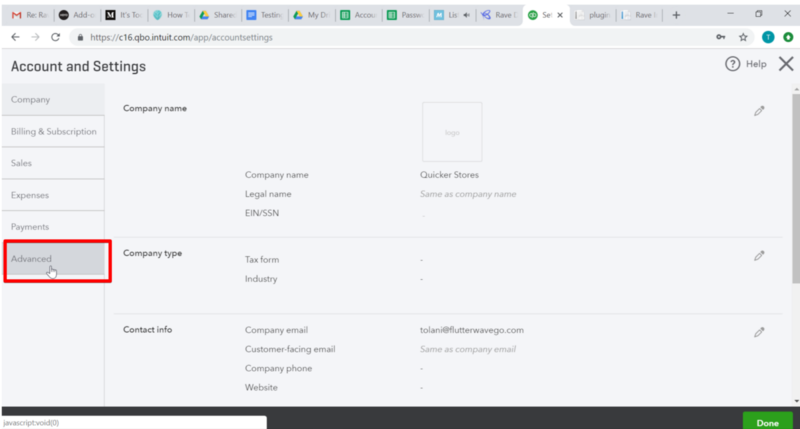 How do I navigate to the integration and disconnect QuickBooks? 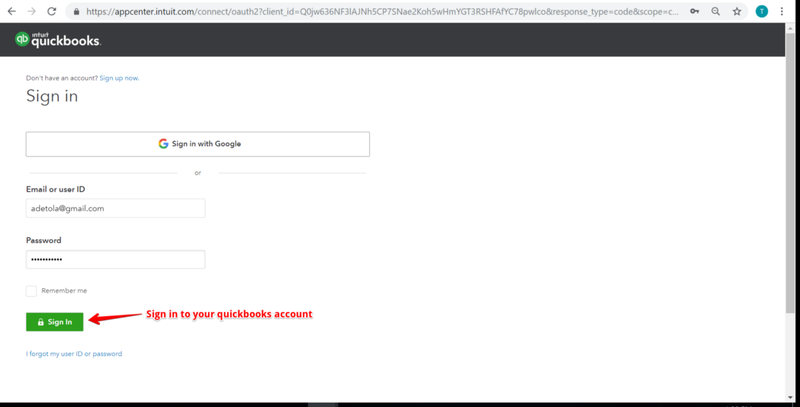 On QuickBooks configuration settings page, click on“Disconnect from QuickBooks”. 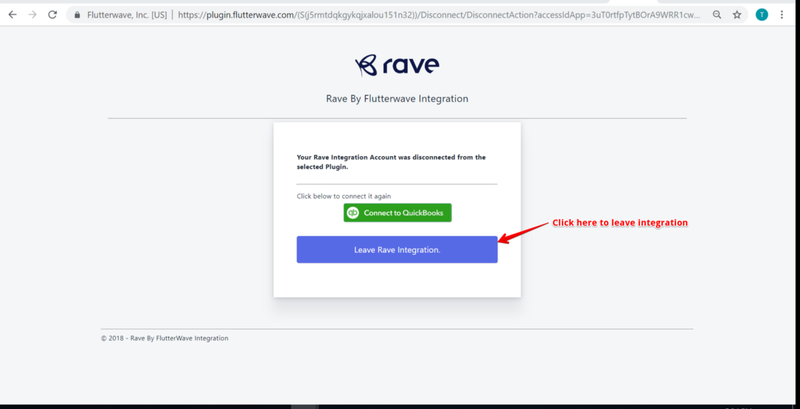 On the following page, click on“Leave Rave Integration” to exit integration. 4. When and how does data sync occur? Data sync occurs when“Manual sync process” button is clicked at the configuration settings page to obtain real-time data. It also occurs automatically at 12:00 am daily. 5. 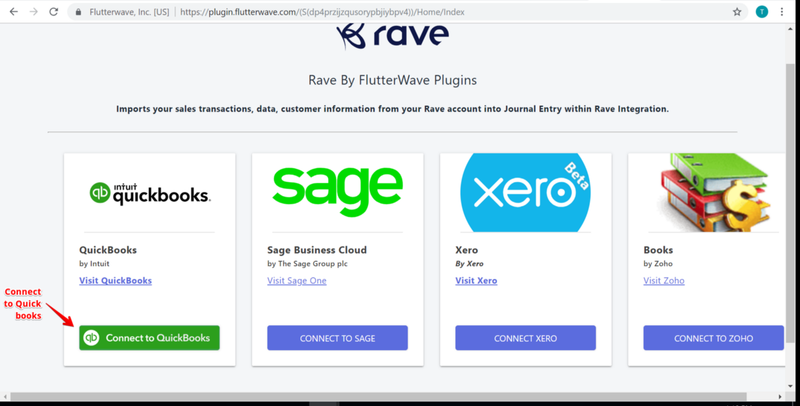 Is data sync manual, automatic, on login, in real-time? Data sync is manual, automatic and occurs at real-time when the button is clicked. 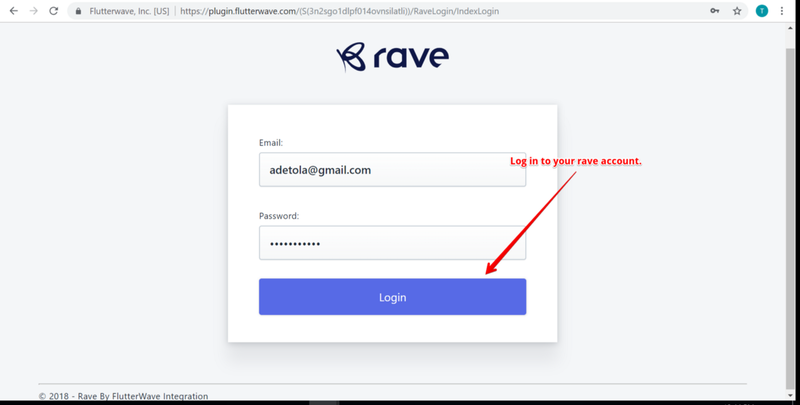 Automatic sync occurs irrespective of the login status of the user. 6. When does data Sync process fail? 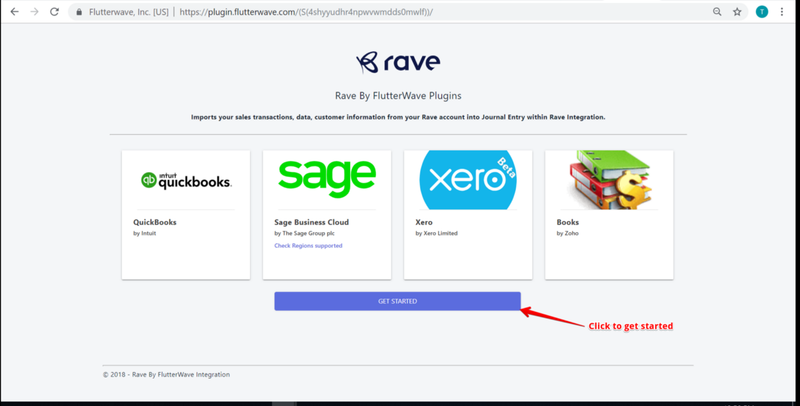 Data sync fails when home currency on Rave and QuickBooks are not concurrent. 7. 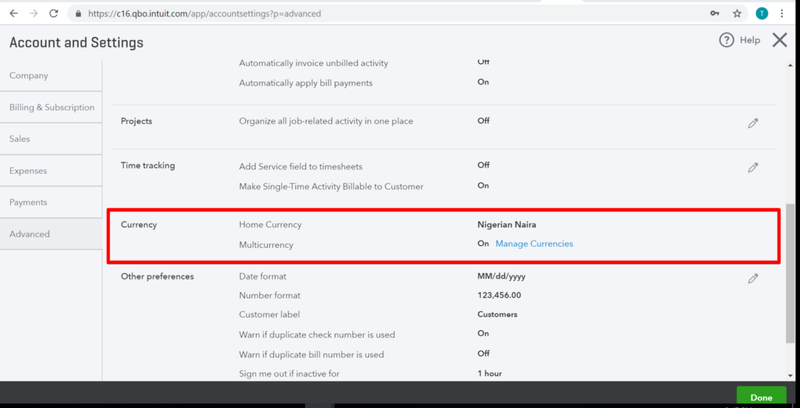 Is Setting up multi-currency on QuickBooks reversible? No. Multi-currency set-up on QuickBooks is irreversible. 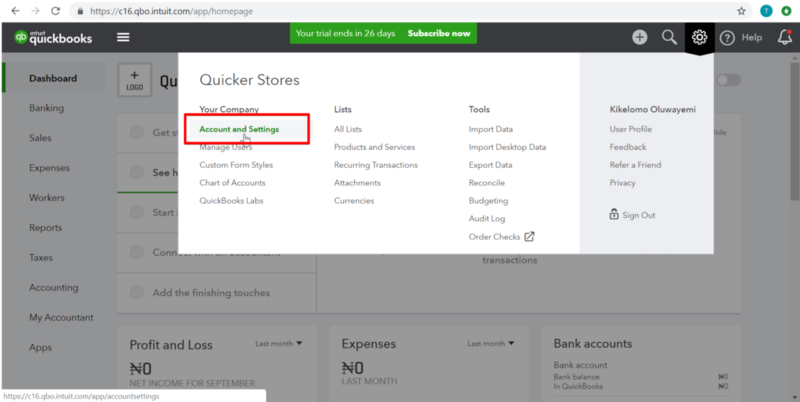 Step 1: On QuickBooks plus account, go to accounts and settings. Step 2: Go to Advanced settings. Step 3: Scroll down to“Currency” section. Toggle multi-currency button to“on” and select the preferred home currency. It is highly recommended that user is absolutely sure and totally convinced of the benefits of setting multi-currency before activation as the process is irreversible.